West Point alumni and Pentagon insider Jack Kammerer recently moved into a new role at VA as Director of VA Vocational Rehabilitation and Employment. Former Army Lieutenant Colonel Jack Kammerer was recently selected as the new Director of VA Vocational Rehabilitation and Employment. This means he is in charge of the rehabilitation claims of disabled veterans across the country. VA replaced Acting Director Margarita Devlin with this former Army commander and Pentagon insider. Curiously, VA chose an Army and Pentagon insider with zero experience over an actual Voc Rehab Counselor with ample training and experience in helping veterans get rehabilitated. This perhaps indicates VA’s new focus on certain projects over the specific quality of the program over which Mr. Kammerer is now required to administer. Or, perhaps his selection will mark a “getting tough” period for both veterans and union employees. A review of his background indicates he was a lifelong Army officer following graduation from West Point in 1984. Following the Army, he worked in the Pentagon and Capitol Hill prior to coming on board at VA as a Senior Advisor. I ran a search for different media citations from or about Jack Kammerer to help us get some kind of impression of who he is as a leader. Perhaps there we can get an idea of the kind of policies he will push for as Director of Vocational Rehabilitation and Employment. There is not a lot out there about the man, but we at least have a good starting point with what is below. Recently, Mr. Kammerer testified to Congress about future changes he will likely implement within Voc Rehab. Most expensive among these will be transitioning Voc Rehab’s files system from paper to electronic. He will also ensure the recommendations of a recent scathing report from GAO will be explored. The EBenefits site will play a significant role ensuring a warm handoff. The site sill soon send out reminders as users hit key milestones in their transition as to what things they should be doing at that point to prepare, said VA Senior Advisor to the Secretary Jack Kammerer. 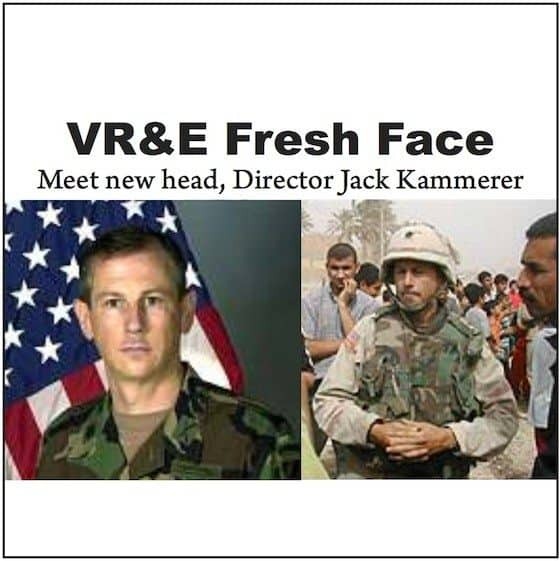 In 2003, in the Army, Lt. Col. Jack Kammerer provided much fodder for media outlets during his command in Iraq. In the 3rd Infantry Division, Mr. Kammerer led the 3rd Battalion, 7th Regiment, with the 3-7 Battalion at the Baghdad Airport. Lieutenant Colonel Jack Kammerer is on a mission to “explain and offer help” to the people of Hai al-Muallimin, but it doesn’t seem to be going very well. A few young Iraqi men and boys are gathered around his Bradley armoured vehicle, where a US Army lieutenant who speaks a few words of poor Arabic is causing some wry amusement. But most residents are still too emotionally bruised to do anything except stare resentfully from a distance. Not that Colonel Kammerer is discouraged. “After Saturday’s unfortunate event we were received here by an angry mob which chased us away… People seem less angry today,” he tells me. Prior to Iraq, Mr. Kammerer served in Kosovo and Korea. In high school at Grand Island, NY, he was known as Greg Kammerer. On Grand Island, he was involved in cross-country and a member of DeMolay, which is a youth group for the Masonic Lodge. Congressman John LaFalce provided Mr. Kammerer with the recommendation credited with his acceptance into West Point after graduation from high school. LinkedIn has a brief summary of Mr. Kammerer’s experience and education. What do you think about Mr. Kammerer’s qualifications? Let us know if you think he has what it will take to reform VA’s troubled benefits program. Previous articleShinseki, VA Fixed the Backlog? HE IS DEFINITELY “MILITARY”. CHANGE IS A COMIN’, JUST HOLD ON AND PRAY. OUR “SERVICE” TO OUR COUNTRY WILL BE RETURNED IN “SPADES”. TO ACHIEVE, YOU MUST FIRST “BELIEVE”. I am currently enrolled under the VR&E Chap 31 program. Slow Slow and Slower is how they operate.My counselor is a nice guy who speaks broken English and very hard to understand. He tries the Best he can,but seems to always get sidetracked from his bosses. I hope This Guy does the right thing and make it easier for us who have a Disability rating from the VA. One can only Hope. He’s a Belt Boy. A G-man that lives and works within the I-495 belt loop who will adapt the creed of Washington’s gameplan these days of ‘prey and preditor’. Veterans being the prey, that is. It looks as if they have put a “West Point Ring Knocker” in for the changes planned. A man who will say Yes Sir! Yes Sir! Three Bags Full and to hell with the Veterans. He has his retirement and isn’t one I would trust to look upon Veterans in VocRehab as anything other than leaches. The same kind of guy who looked down on and disparaged Warrant Officers believing the Army should get rid of them (conjecture based on experience with others from the same cloth). I would love to read the GAO report. Will have to find it. I think we all better watch our 6! Ret Master Chief(69-95) I would have to agree with you. I am very Skeptical of Higher Up Brass,that Got theirs. I hope He does the right thing,But most stuff coming out of that cesspool in washington,you can throw out with the garbage. One thing you can’t take away from Former Army Lieutenant Colonel Jack Kammerer is his work ethic. This is a man who will sacrifice his social life to meet the needs of the department. Extremely disciplined individual with compassion towards the human race. If anyone can fix a broken system and move it forward I believe he is the man. I believe Voc Rehab just got LUCKY. I believe he is just another in a long line of government(military) functionaries programmed to answer to his superiors. not to the people who truly need his help. My God, will they ever learn?. I think if you are sincere in your objective I am with you and I will support your endeavor all the way. If he is truly serious in reforming VR &E start with the Oakland Regional Office in California where the head openly violate veterans rights by deliberately not applying the rules and regulations, statutes and the law. 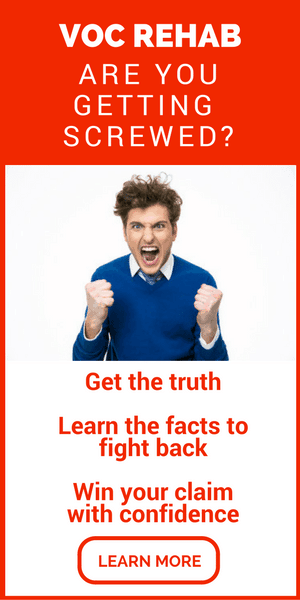 Investigate this serious accusation and make everyone accountable without fear. Another in a long line of “YES” men! Nothing will change. If you want to make an impact then they need to take a look at the Seattle region and what they did to one of my friends out here. It was the most blatant cases of racial discrimination I’ve ever seen involving another veteran. If that got out to the public there would be riots in the street. Not impressed with him. Got a denial letter from him containing incorrect information regarding me and my case AND he used a USC reference in the wrong context. I know he didn’t personally write the letter but he allowed it out of his office. He is very unqualified. Could be facing legal ramification because of his inexperience.